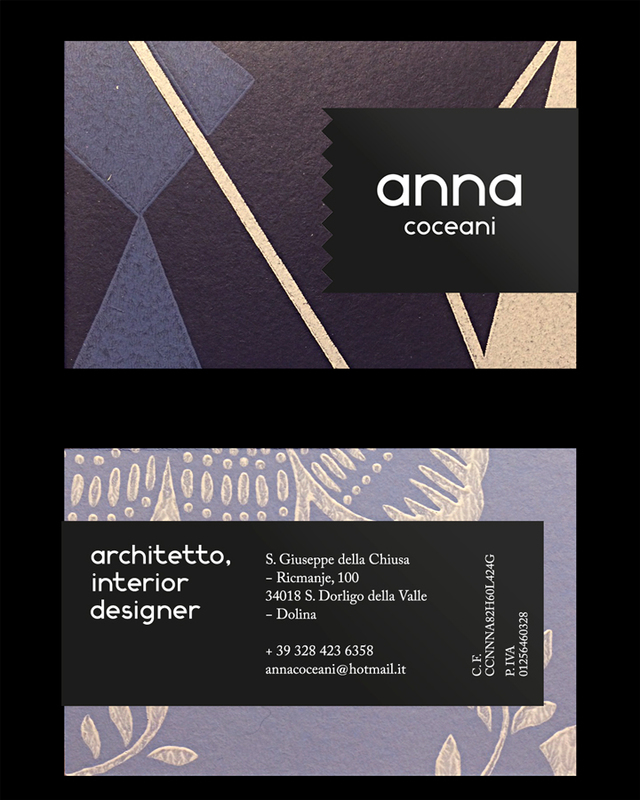 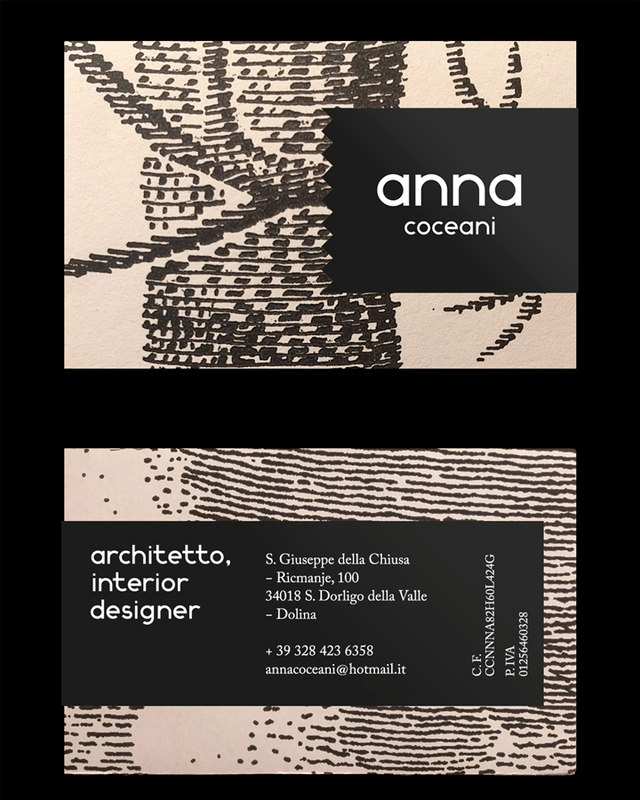 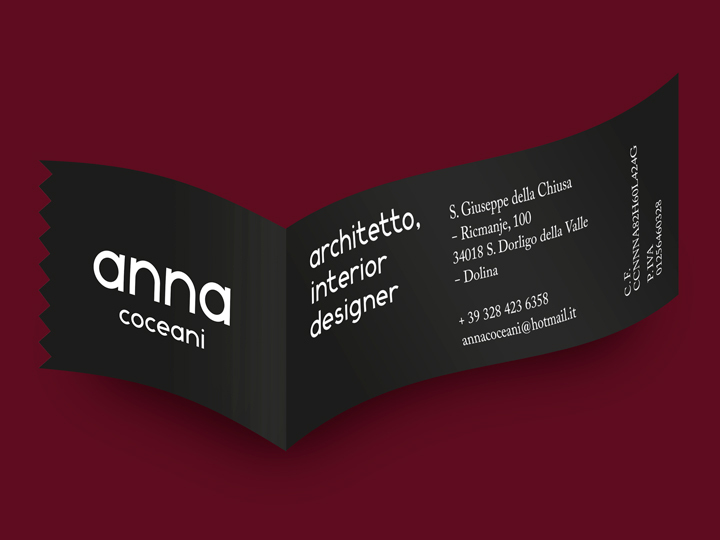 Anna Coceani is an architect and interior designer from Trieste (Italy). 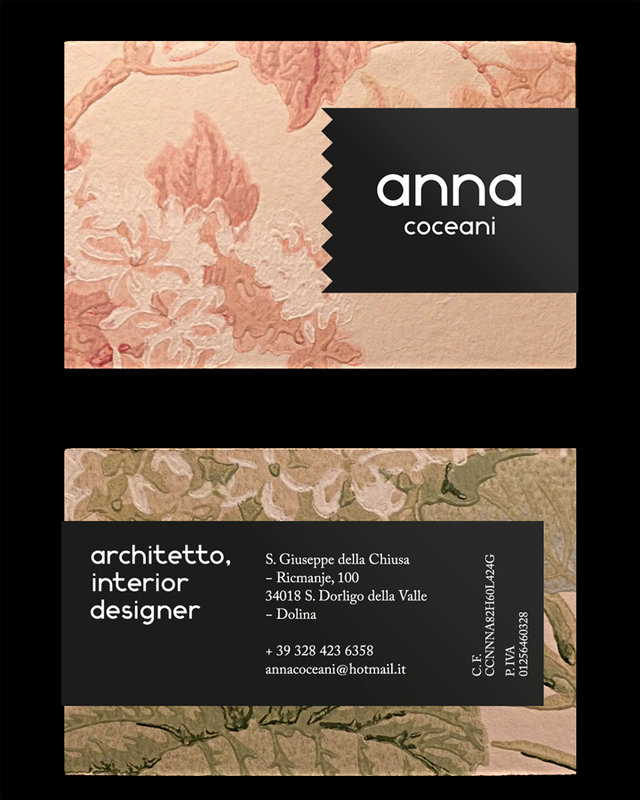 Interior design is the art and science of enhancing the interiors of a space or building to achieve a healthier and more aesthetically pleasing environment for the end user. 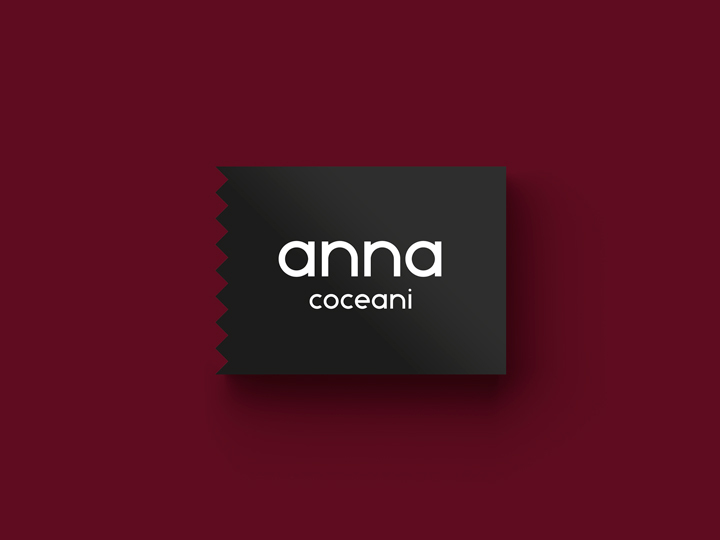 It was also my intention — as of Anna — to transmit through the creation of an original hand-made visual identity this feeling of pure work-passion and heat. 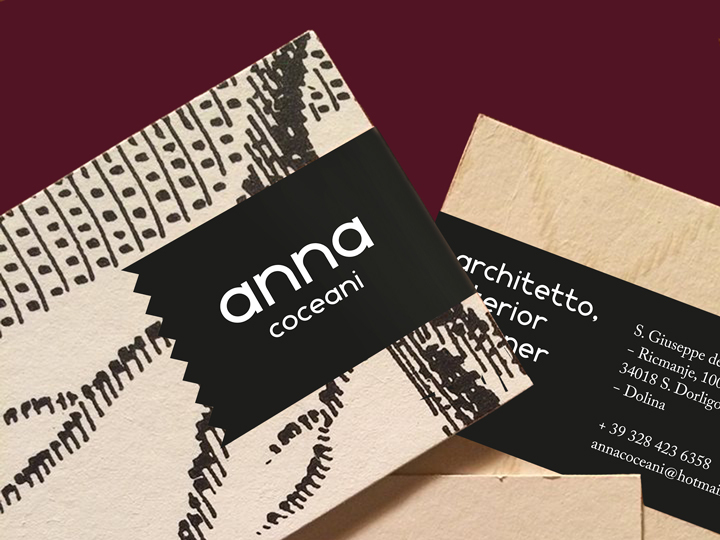 In this way, together with Anna we created a bunch of sets of business cards, made exclusively out of indoor wallpapers scraps — carefully cropped to a 80 x 45 mm format. 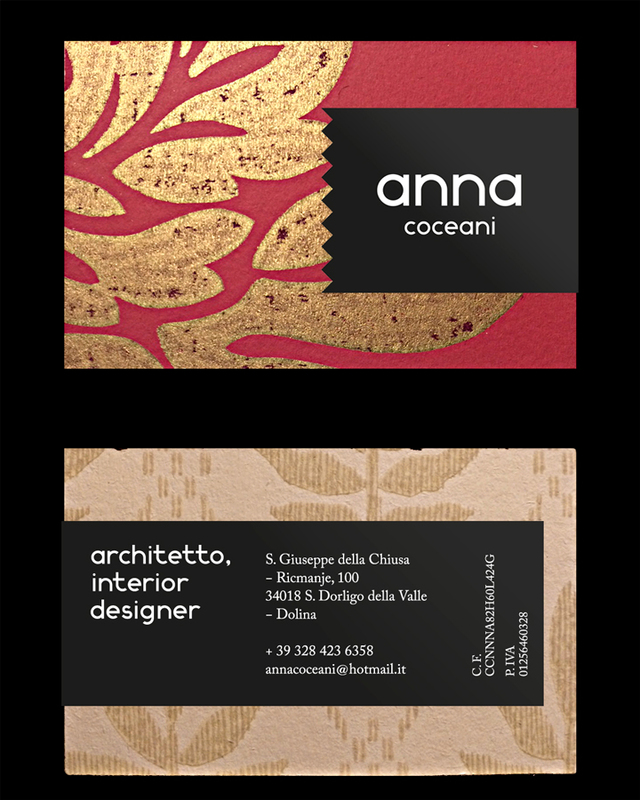 Above them we then simply glued some adhesive strips, printed in an elegant black (that does not disturb as opposed to the colors of the cards). 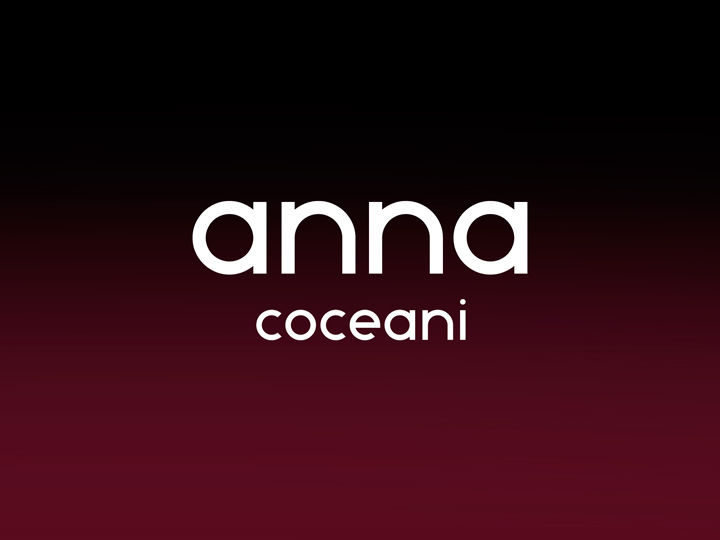 The strips feature only the logotype of Anna (designed by me with custom-made characters, later transformed also into a font to be used) and her professional contacts and informations. 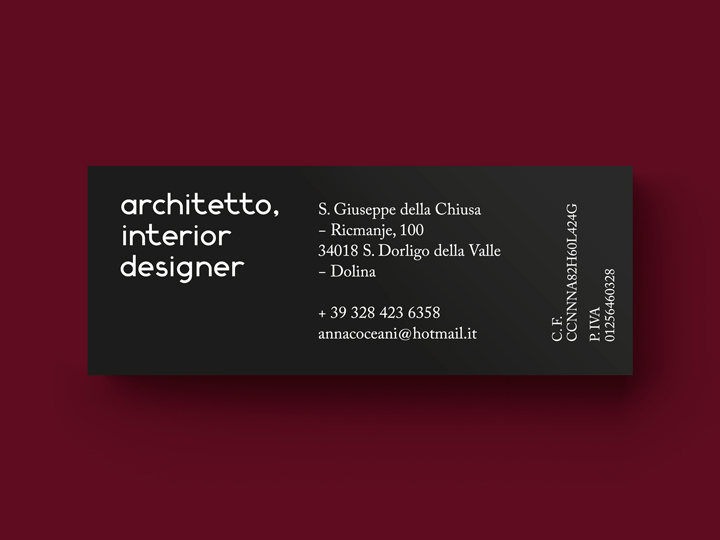 The strips are enriched with a particular (visible on the business card’s front): a cutting-end made as ‘zig-zag’, which can be metaphorically interpreted as a homage to all the conceptual developments of the interior designer’s job. 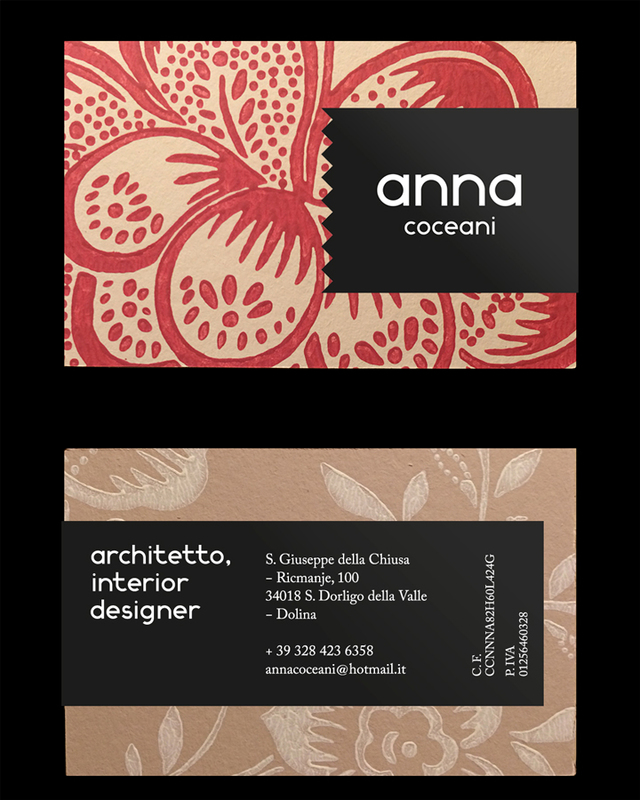 The result is a set of colourful DIY cards, eye-catching and completely unique. 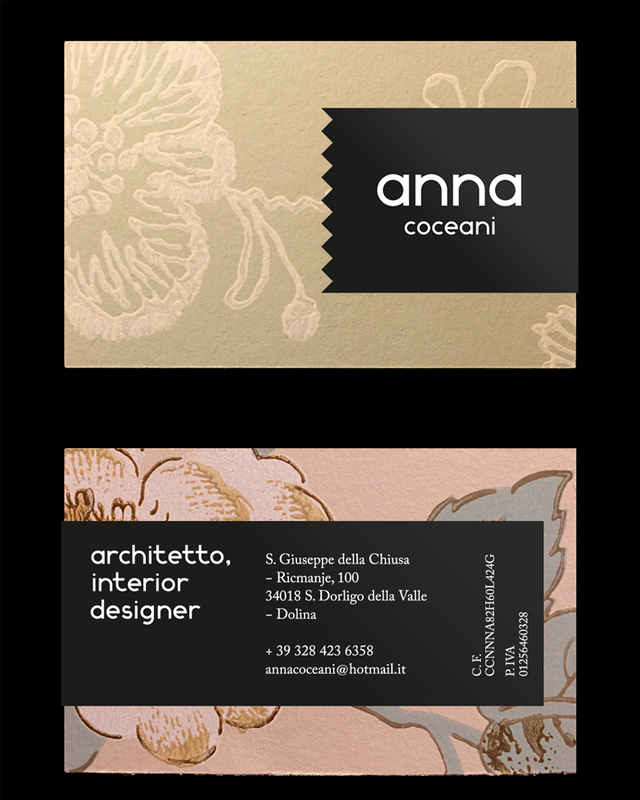 Let’s say original. 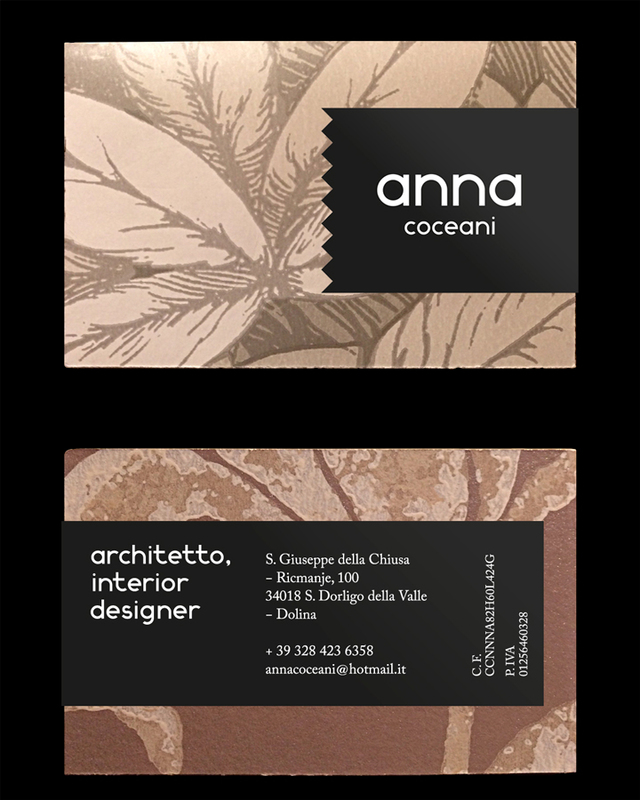 Original as the work of an interior designer (or architect) has to be.